Our services don’t end with designing and producing a custom display. As your display partner, it's our job to make sure that delivery is reliable and that your finished product works within your particular retail setting. We store and manage your inventory for you. Delivering a successful, well-designed, and expertly produced custom display is in our job. We maintain specific services to assist with this, including warehousing your displays. It's been said that space is the final frontier. Warehouse space may not be what they meant, but It's an important factor. You are likely working on some sort of space premium; even if you’re not, disassembling, storing and putting displays back up increases the likelihood that they might experience damage. Why not rely on us to become an extension of your overall logistics? 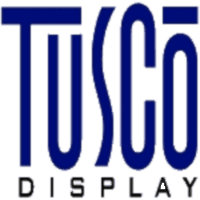 At Tusco, we offer complete fulfillment services to store, manage and reliably ship your displays. In fact, we can help maintain your store fixture inventory. We offer regular inventory reports, which helps with strategy and program execution. We also drop-ship throughout the US, Canada and Mexico. We make sure you get your shipments when you need them. We offer same-day order processing and shipping, routinely providing the electronic shipment tracking details to ensure accountability through product delivery. Shipping services for small parcels are provided by UPS and FedEx and various carriers assist with large programs. Packing, processing, loading, unloading, delivering and everything in between — Tusco works with trusted partners to execute this as efficiently and effectively as possible. We are your top partners and advocates when it comes to your custom display logistics needs. Do you want to learn more about our inventory storage and warehouse services? Contact Tusco today to start mobilizing on your next project.